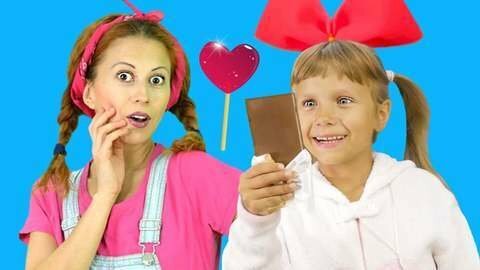 The children love to eat sugar and other sweet food in this baby song video. Papa knows that too much sugar is not good for you so he catches the kids eating different sugary foods. He even catches the doggy eating the carpet while using a spoon and a fork. Head over to SeeZisKids.com to enjoy the other free videos featuring nursery rhymes.